Preheat oven to 150C. Rub the shanks with olive oil, thyme, salt and pepper. In a large pot, brown the shanks on all sides, and set aside. Add the garlic to the same pot, and cook for a few minutes. Deglaze the pan with sherry vinegar, add the beef stock, bay leaves and return the shanks to the pot. Cover with a lid and place in the oven for 2 ½ hours, turning the shanks every 45 minutes or so. If there isn’t enough liquid left in the pot, add a little stock or hot water. In a pan, heat some olive oil on low heat and add the butternut squash. Sprinkle with sugar, salt, pepper and cook until soft and a little caramelized, for about 15 minutes. Set aside until serving. Once the shanks are ready, place them on a serving plate and cover with foil. 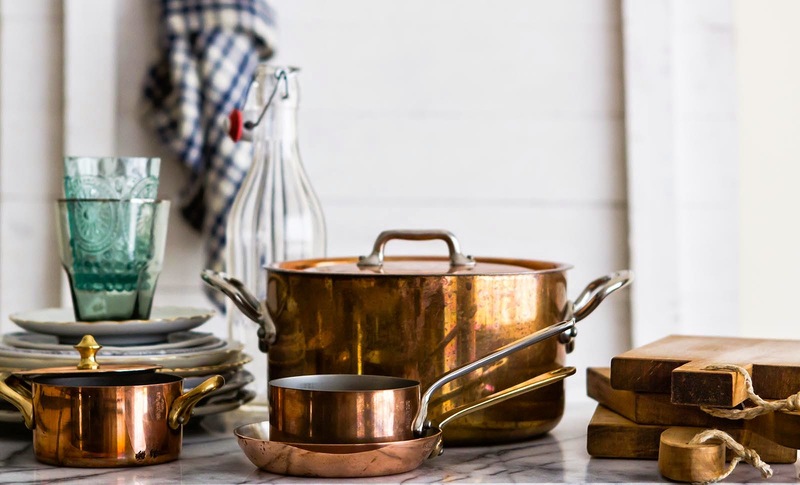 Remove the liquid from the pot, pass it through a sieve and pour it in a saucepan. Add the pomegranate juice, bring to a boil, reduce heat and simmer until it thickens slightly. Finish with a knob of butter and season to taste. 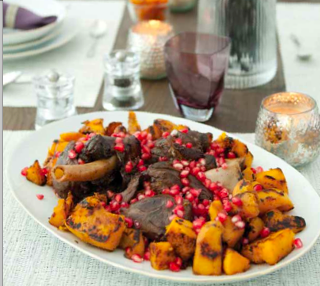 Now add the warmed squash to the lamb shanks, pour the sauce over the dish and sprinkle with the pomegranate seeds. Divine! This is just my kind of food to eat at home...a comforting, warming dish (no matter how hot it is outside!) Good luck with everything that's on the horizon.